Barasat is a city in the outskirts of Kolkata, West Bengal India and is the district head quarter of the district North 24 Parganas. It is a part of the area covered by Kolkata Metropolitan Development Authority. The town is an important railway and roadway junction. Barasat is also the name of a sub-division centering the city. 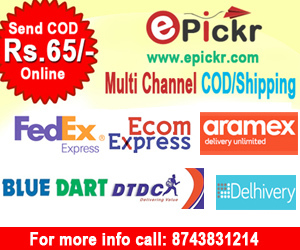 As an urban setup in the vicinity of the Kolkata, the town is within the area of Greater Kolkata. Several significant roads like National Highway 34 (Krishnanagar Road leading towards North Bengal), Jessore Road (road leading to Jessore in Bangladesh via Bongaon); road leading to Basirhat etc. cross through the town. 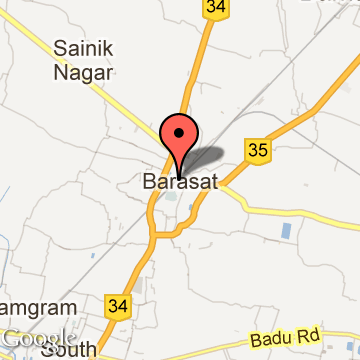 Barasat is only 21 km from Kolkata.It is an old town with population approx. 298127 people and it has its own historic value.In the early nineteenth century, there was a college in Barasat for the cadets who arrived from Europe for the first time to India.From 1834 to 1861, Barasat was the seat of a joint-magistrate, known as "Barasat District". In 1861, the joint magistracy was abolished, and the Barasat District became a sub-division of the Twenty-four Parganas district.Once Rishi Bankim Ch. Chattopadhyay was the Collector of Barasat.Presently this is the District Head Quarter of North 24 Parganas and an emerging business town.Barasat is also familiar for Kali Puja which is best within West Bengal. Barasat Tourism - Get all information on Barasat tourist places and sightseeing tours. Our website helps you plan your next tour and gives you great ideas on what to do, where to eat, where to stay and when to go there. We give the best information from the web to give you precise, meaningful and useful travel guide for leading places to visit in India and from across the world. Our travel information on BARASAT tourist places, tourist attractions, major sightseeing, the best time to visit, the top places to visit in Barasat, the must-see things to see and do, maps, restaurants, hotels, nearby tourist destinations, local public information and more. To start with check out information on how to reach Barasat.